Elioena Aráuz, completed her apprenticeship at the Learning Centre of Agroecological Biointensive in 2014. 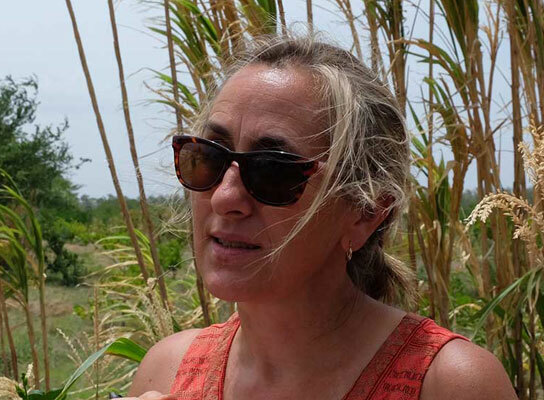 Through ECOLOGY ACTION and ECOPOL, she became a certified master bio-intensivist in the Caribbean and Latin America in 2016. 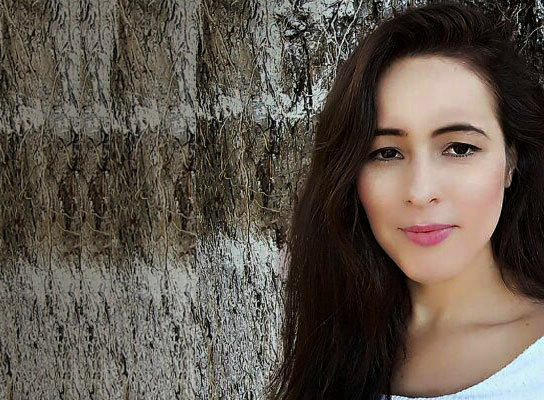 She currently studies Business Administration at the Christian Autonomous University of MATAGALPA (UCAN) and leads Artists for Soup’s bio-intensive programs in Matagalpa during the week. 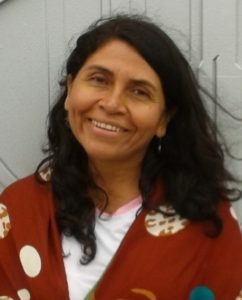 She uses her organic demonstration garden in El Corozo to teach the theory and practice of the sustainable, small-scale biointensive method. Alyeriz manages Artists for Soup projects in small enterprise, reforestation and nutritional nursery development and is pursuing her MBA in Sustainability at Bard College. She has a degree in accounting and auditing and postgraduate work in investment and financial management from Central American University. Before joining Artists for Soup, she worked with IBIS and Oxfam on collective rights and education with Nicaraguan indigenous and Afro-descent communities. 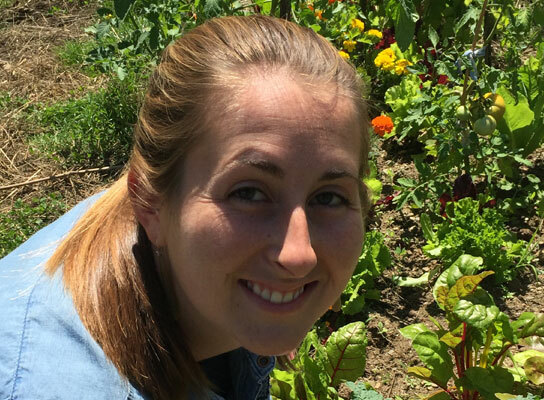 As a graduate student, Alyeriz imagines ways to combine nonprofit and for-profit strategies to build networks of community growers that use sustainable market methods to produce organic vegetables, coffee, and fruit. After two decades of teaching in the English department at Vassar College, Judith organized the nonprofit Artists for Soup in 2014. 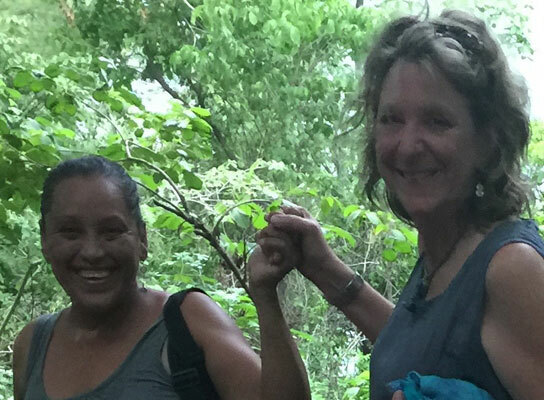 During 2005 and 2012, Nichols conducted multidisciplinary academic research on how Costa Rica and Nicaraguan women in the Guanacaste region perceive and adapt to environmental challenges. Her poetry collection, Blood Moon, Bright Stars (2016) anticipates the development of Artists for Soup. The poems explore recent turbulent decades in Nicaragua, and celebrate the potential power in ordinary human connection, which often leads toward alliance and survival. Mercedes Álvarez​ was born in the Matagalpa mountains of Nicaragua before later moving to the capital city of Nicaragua. Her early years of living in rural and urban poverty created a strong desire in her to get a good education, as well as a strong sense of the need for political and economic justice in her country. She attended college while also serving in the military during the 1980’s civil war. She eventually earned a degree in chemical engineering. Mercedes has subsequently worked throughout Central America (Panama, Honduras, Belize) in promotion of sustainable agriculture methods for Sustainable Harvest International. She founded FUPROSOMUNIC in 2004, a Nicaraguan non-profit that works with women through environmental and small-scale agriculture programs. 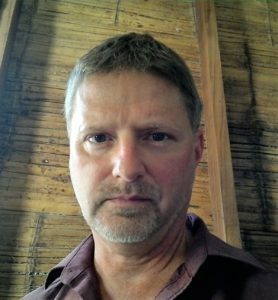 Greg Bowles worked in Mongolia and Bangladesh for the U.S. Peace Corps, before he came to Nicaragua in 2000. Since then, he has worked in sustainable agriculture and potable water programs in Nicaragua, Honduras, Belize, Panama and Nepal. 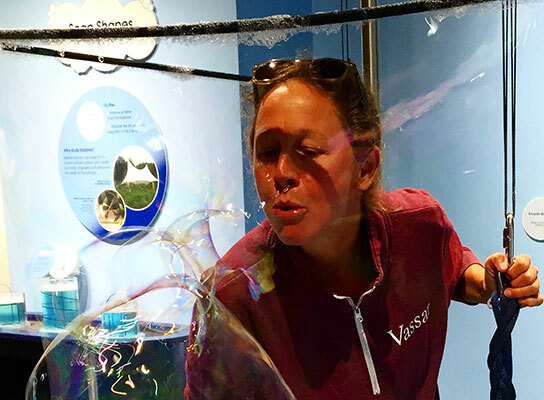 Tracey teaches in the Department of Education at Vassar College. She helped design national education programs in Nicaragua, Mexico, and Jamaica, and she has trained educators in El Salvador, Guatemala, and Angola. In the early 1990s, she founded a workforce development school for street and working children in Managua, Nicaragua. 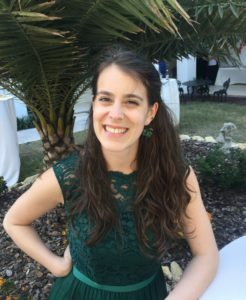 A graduate student in the Fletcher School of Law and Diplomacy at Tufts University, Ana has travelled and studied in Brazil, Argentina, Costa Rica and Spain, as well as Nicaragua. 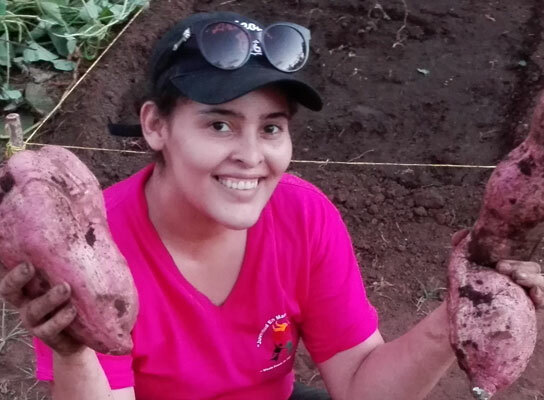 Ana’s experience as a research assistant in Latin America, her work as a Portuguese translator at conservation symposiums in Brazil, and her management of outreach for English learning programs in New York have prepared her for work in human rights and conservation in Latin America. 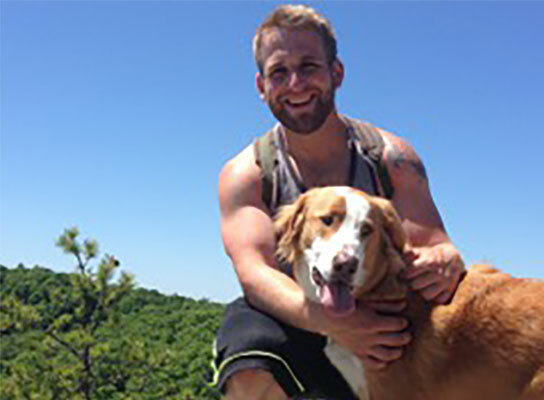 A law student at Drexel University, Nathan has used his training as a grant writer and social worker to support Artists for Soup. He was a college counselor at Bard College and a grant writer at a community organization serving at-risk youth in Poughkeepsie, New York. During the past eight years, Laura has worked and volunteered for nonprofits focused on a wide range of issues. Recently she was an AmeriCorps VISTA at a refugee resettlement agency in Florida, where she further developed her passion for working with nonprofits and international communities. A former Artists for Soup intern, Laura is pursuing a Master of Global Policy Studies, and a Certificate in Nonprofit Studies, at the LBJ School of Public Affairs. Nancy teaches women’s health and community health nursing at Jacksonville University in Florida. As a nurse-midwife, she spent much of the past 30 years providing sexual and reproductive healthcare for economically disadvantaged women, at-risk girls, and LBGTQ youth. She has also participated in healthcare missions in Nicaragua, Jamaica, and Honduras. 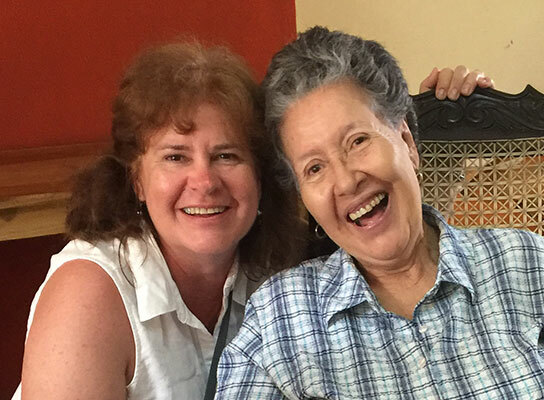 Nancy Young Robinson is shown here with her friend and mentor Mercedes Toruno, human rights advocate/organizer in Nicaragua. A family nurse practitioner in New Haven, Connecticut, Tina serves as a consultant on child protective service cases and works in her community on access to health care and social justice issues. Her special interests include: women’s health care, international health care, medical anthropology, and handicrafts. Tina Santoni appears on your right, Johanna Vega on the left.